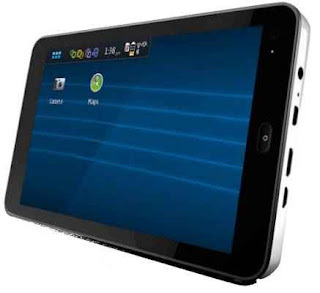 Cordia Tab 7-inch tablet is designed to run Linux-based operating systems including MeeGo, Ubuntu, Cordia HD, or Android. The tablet has a price of about $ 300 or 2.5 millions dollars more. The people behind this project basically wants to use Android existing tablet and test it with another operating system that uses the Linux kernel in hopes of offering a tablet that can be hacked / who tinkers by the open sourcecommunity. This tab is Cordia tablet has a 800 MHz Freescale i.MX515 processor, 512MB of RAM memory, danlayar capacitive touchscreen 1024 x 600 pixels. 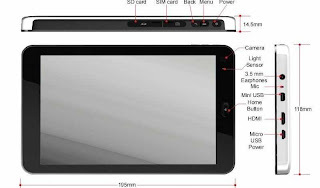 The tablet is also equipped with 802.11b / g WiFi, Bluetooth 2.1, 3G, GPS, an ambient light sensor, a gyroscope and accelerometer. Not to forget the Linux tablet also has a mini USB port, HDMI port, camera, headset and hack. Talk batteries, this tablet has a 3300mAh battery and can last for between 4 and 6 hours, though battery life may vary depending on the operating system. This tab is Cordia tablet weighs about one pound and measures 7.6 "x 4.6" x 0.6 ". Cordia Tab will not be thin tablets or the most interesting we've ever seen. But the fact that the people behind the project hope that the tablet is targeted as a tool / device for open source fans still makes it quite attractive. If you are interested in joining the group early buyer you can register on the website Cordia Tab. The people behind the project hope to get 250 people to register prior to the actual product launch.